Outsourcing provider CSC has closed the acquisition of beleaguered healthcare application provider iSoft for $189m (£115m). 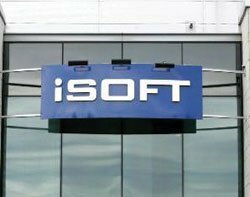 The deal was first announced in April after Australian firm iSoft suspended shares and put itself up for sale. The acquisition comes as the government reevaluates its contracts with CSC, which were described as unworkable by the department's former CIO Christine Connelly. "CSC will claim that this fits with its broader strategy and that there is some synergy, but it is clear that if anything happened to iSoft it would be far more difficult for it to fulfil its contracts with the NHS." A spokeswoman for CSC said the company was not able to comment on its position with the NHS while contractual discussions with the government were taking place. However, CSC revealed in an annual filing to the US Securities and Exchange Commission that it has almost completed negotiations with the NHS over a £764m reduction in the value of its £2.9bn deal to supply electronic patient record systems. The NHS has also paid £200m to troubled supplier CSC as an advance against contractual charges not due to be paid until 2012. MPs were told in May that tearing up the CSC contracts could cost the government more in cancellation fees than seeing them to completion. Commenting on the iSoft acquisition, Michael Laphen, CEO of CSC, said: "The completion of this acquisition is a milestone in the expansion of our global healthcare business."